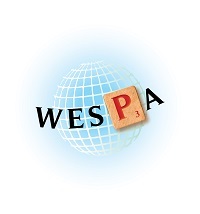 This Archive is where you will find all articles that had been posted on the WESPA website, from 2010 to now. Except for articles in mid 2017, these links will take you back to a previous layout for this site. To return to the current layout, simply click on the menu items in either the header or footer (or use the Back bar in your browser). The articles are in as close to chronological order as possible. We trust you will find this page informative and interesting. For any errata, please contact us. Who will be the UK national Champion in 2017? The Man Behind the Scrabble Champions Tournament — Elie Dangoor interviews Dave Brannan. Moizullah Baig crowned World Youth Scrabble Champion in Dubai — 136 participants from 17 countries compete in biggest WYSC ever. Nigel completes hat-trick — Richards wins third world title at theScrabble Champions Tournament. UK v US on ISC and Dweebovision — Three high calibre players from either side of the pond do battle. MSI Las Vegas — Las Vegas to host the first US Mind Sports Festival. Scrabble Champions Tournament announcement — The media release for the event succeeding the World Scrabble Championships. Scrabble Player's Handbook released — Announcing the release of a major new Scrabble resource. Lakshan and Yeshan attempt world record — Sri Lanka pair take on 24 hour challenge. Pakorn reigns supreme at 6th Godswill Akpabio Scrabble Classics — Report on Nigeria's big event. MSI Prague 1-4 December — Details on the inaugural 10,000 euros tournament. Preview - 2012 UK National Championships final — We look forward to the best-of-5 shootout. Collins debuts at 2012 US Nationals — CSW12 heads west. A player's perspective: 'CSW is growing within this country' — Dave Koenig writes on the US Nationals. New WESPA ratings system launched — The world rankings get a revamp. Records tumble at Northern Ireland Scrabble Championship 2012 — Details of the dramatic event. Meet 'Mr. 850' Toh Weibin — Find out more about the man behind the new world records. Share your WSC experience — The winner of the competition is revealed, plus all of the submitted reports. WESPA Biennial General Meeting 2011 — Minutes and chairman's report. Sammy Okosagah wins Godswill Akpabio Classics — Tournament agreed for 2012. Prizemoney galore on offer — Three more big tournaments coming up in the next few months. On the podium — Mid-year tournament results. Sulaiman clinches Gulf double — Veteran Mohammad Sulaiman (UAE) clinches his second Gulf Championships in a row. Nigel makes it 3 from 4 at Nationals — Richards wins the North American Scrabble Championships. WESPA wiki-fied — WESPA now has its own wiki in Wikipedia. Countdown to Warsaw — The latest developments with less than two months to go to the 2011 WSC. Toronto showdown - humans also welcome — Canada is gearing up for the premier Collins tournament in North America. Star-watching in North America's 'WESPA-Collins' — Nick Ball reports on Collins stateside. End of Causeway era — The upcoming Causeway 2011, in Johor Bahru, is to be the last. SA Scrabble site gets makeover — South African Scrabble has relaunched its website. Toronto to launch first international open — Canada announces its first international open tournament played to WESPA rules. Human vs Computer, Mark II — The first took place in 2006. Now a second showdown has been organised. iPhone app for Zyzzyva — Michael Thelen is overwhelmed at the response to his call for financial help. Malta double act — "Scintillating spectacle" just under a month away. An app-ropriate gift — WESPA has donated US$250 to Zyzzyva owner Michael Thelen. Causeway spreads to four corners — Concept spread across the year to four regional franchises. WSC goes to the Poles — Extended World Championships moves to eastern Europe. Lack of the Irish — Northern Irish world No 2 Paul Gallen doesn't get everything his own way. World flock to Germany — The first ever German Open, held in mid-March, was a truly international affair. 2010 Report to WESPA members — A compilation of reports from the various committees. WYSC shifts from Mid East — World Youth Scrabble Champs moves back to Malaysia. Revised word list nearly there — New tome to arrive in a matter of months. Kindling interest — Scrabble dictionary e-book arrives. A Pakistani purple patch — Youth triumphs over champions. Causeway 2011 announcement — Michael Tang's announcement concerning the 2011 event. Prize pool to end all prize pools — US$180,000 up for grabs at Causeway. Causeway top 10 in photos — Photos of the top 10 from the Causeway Challenge 2010 event. Nigel takes the Champion of Champions — New Zealander Richards triumphs in the star studded field. A worthy Causeway — Michael Tang's pet project, the Causeway Challenge, just keeps getting bigger. Collins taking off on TWL turf — CSW tournaments or grades are on the rise in North America. Nigerians dominate — Wellington Jighere wins the African Championships crown in Accra. Youth taking over — The 5th World Youth Scrabble Champs, to be held in Manila in December, is bigger than ever. Dictionary update — New edition of CSW expected in 2011, with 2809 additional entries and 413 deletions. More thorough but shorter — Rules Committee releases long-awaited version 2 of complete rules, plus a summary of changes. Who's in the money? — Nearly half the total prizemoney for 2009 went to just two players. Guess who? Reversal of fortune — Sam Kantimathi bounces back to win the 3rd Israeli Open. Ratings movements — Edward Okulicz replaces Stewart Holden as head of the WESPA Ratings Committee. A close-run thing — Nigel Richards wins the Sri Lanka International Open — but only just. NZ gets one back — The Kiwis finally conquer their Aussie counterparts in the biannual trans-Tasman showdown. Joanne Craig is top finisher. Zyzzyva jazzed up — Michael Thelen releases a new version of his word-search software, with some cute new features. Moving On(Words) — The end of an era for the fabulous, long-running UK Scrabble magazine. Either dictionary — makes no difference — Nigel Richards powers to back-to-back wins in America, pausing briefly to switch word sources. Like another champion — Book of champion tips by former world champ Joel Wapnick released in North America. Like a champion — Allan Simmons offers up analysis of his title-winning UK Masters 2007 games, in book form. The all-Nigel show — Nigel Richards makes no contest of it in Penang, despite the presence of current world champ Pakorn Nemitrmansuk. Women make their mark — Helen Gipson (UK) and Joanne Craig (NZ) exercise 'girl power' at the European Open. West Coast wizards — Wise Wiegand wins WCWCWC without wincing at weird wordlist.